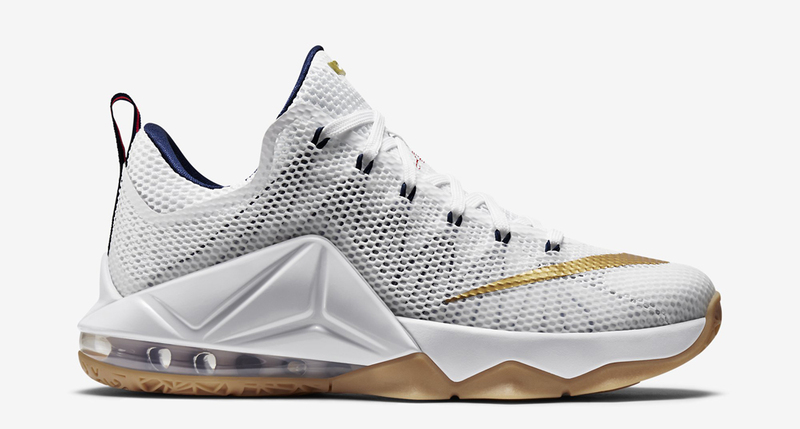 Following the preview over the weekend, here's an official look at this upcoming Nike LeBron 12 Low. 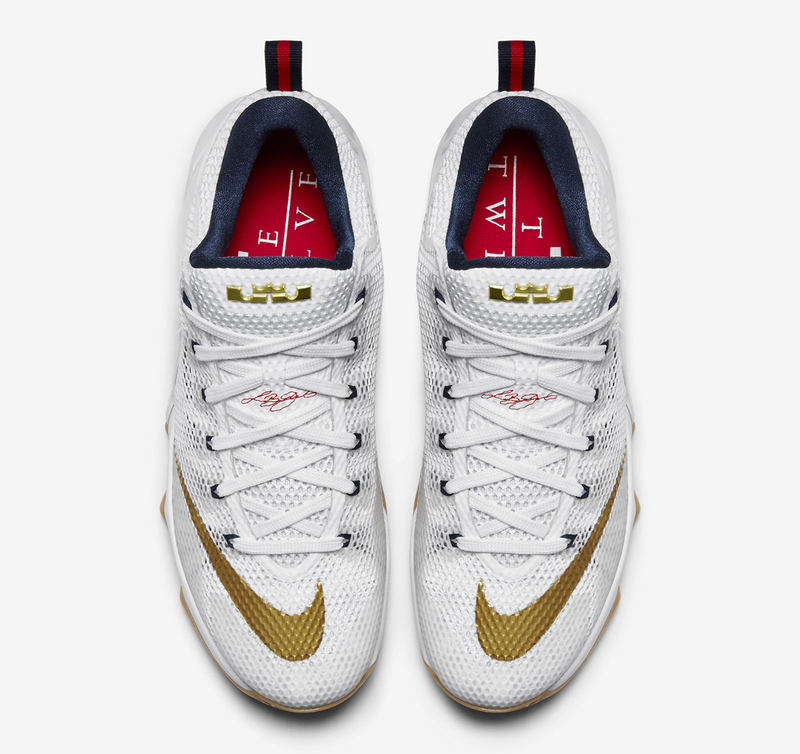 Dubbed the 'USA' edition, this pair comes in a white, midnight navy, university red and metallic gold colorway. 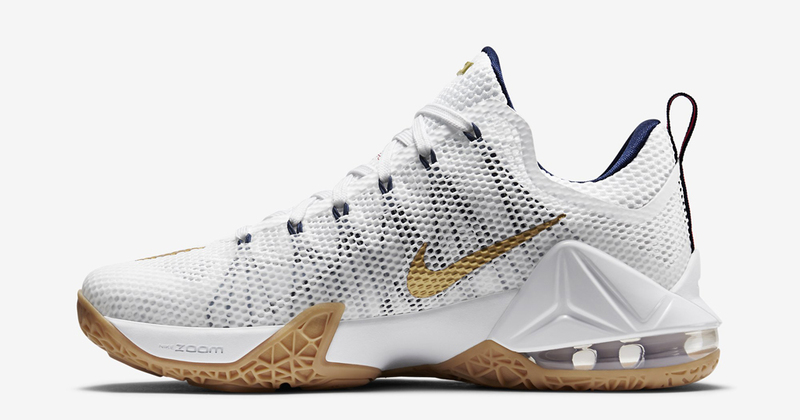 They feature a white-based Fuse upper with navy blue Flywire and gold branding throughout. Other details include a navy blue liner and back heel tab with a red stripe in the middle, red insoles, a Max Air unit in the heel and a solid gum rubber outsole. 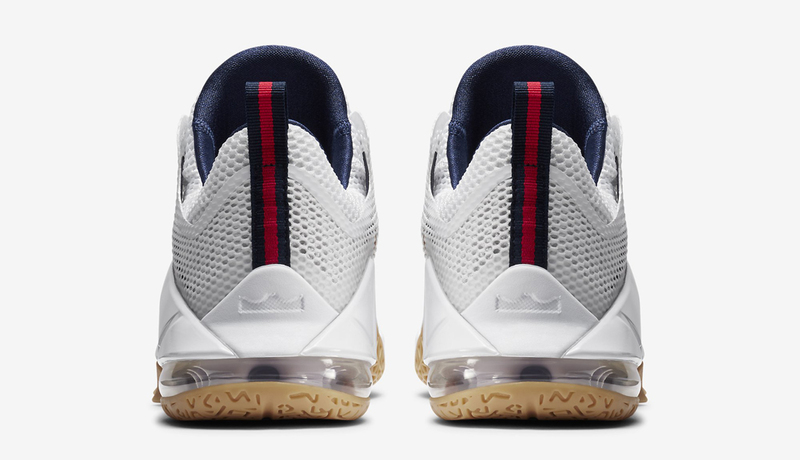 The 'USA' LeBron 12 Low will be available at select Nike Basketball retailers worldwide as well as on Nikestore at 10am EDT on Thursday, April 9. 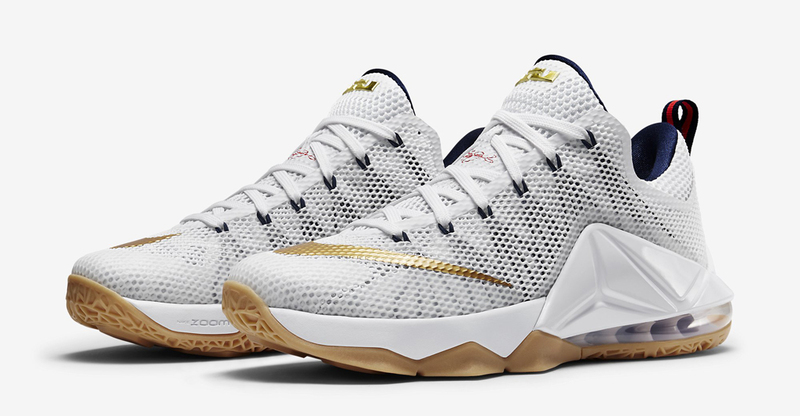 Follow @nikestore on Twitter for a direct link to purchase on release day.